Dr. Lawrence McConnell Willis was born to Emmett and HarryVan Willis November 5, 1927 in Doniphon, Missouri. Eight years later his parents had his beloved sister Ann Marie. He died June 19, 2018 in Englewood, Colorado. Lawrence grew up in Kansas City, Missouri and attended N.E. High School. At 16 years old he graduated from N.E. High School and attained the rank of Eagle Scout. He then attended SW Baptist College in Boliver, Missouri earning his varsity letter in basketball. He then matriculated to the University of K.C. School of Dentistry and graduated in 1949 at the age of 21. Following Dental school he enlisted in the United States Air Force Dental Corp and achieved the rank of Captain while stationed in Anchorage, Alaska. He became a Christian at the age of 21 under the discipleship of Alaskan Missionary John Gillispe. Lawrence faithfully served the Lord for the remainder of his days. After separating from the Air Force, Dr. Willis was urged by friends to relocate from Missouri to Colorado. He 1952 he met Peggy Joyce Christie. They were married March 1954 at the First Baptist Church of Englewood. Lawrence and Peggy had 2 children Larry and Linda who both followed in their father’s footsteps by becoming dentists. He was especially proud of his 4 grandsons Michael, Grant, Robert and John. Dr. Willis treated many patients over his 68 year career, many of whom stayed with him for his entire career. Since his retirement many of his patients have written Thank you letters, made personal phone calls, stopped by his house with dinner, and even painted his portrait as a way to show their appreciation for his service and friendship. The most important aspect in his life was his love for God and the Beth Eden Church community. This community and close friendships developed during his years at Beth Eden, fueled his desire to serve his Lord, encourage others to follow Christ and to grow daily in God’s grace. Dr. Willis is survived by his wife of 64 years Peggy of Englewood, Larry and his wife Terry of Brighton, his daughter Linda and her husband Harold of Rochester, Minnesota, and 4 grandsons Michael, Grant Robert and John, and his sister Mrs. Ann Carter. Services were held at Beth Eden Baptist Church on Saturday, June 23rd at 10:00 a.m. (viewing 1 hour prior to service). 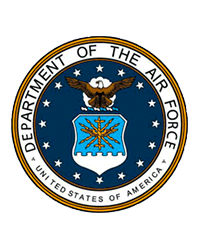 Interment will take place Thursday, June 28th at 11:15 a.m. at Fort Logan National Cemetery with Military Honors rendered by the United States Air Force. Family and friends are encouraged to share stories and photographs of Larry here on his website (click "Tribute Wall" tab on the top of this page).